As the road season is back on tarmac (or snow for those living in northern Europe), I turn to look more behind the scenes of organizing events, the Giro in particular. I was able to get in touch with Mauro Vegni, operations director and RCS executive, to get to know more about him and learn how the RCS approach the organization of the giro. At a very young age he got involved in cycling as he moved to Rome from the small city of Cetona in Siena district. As one of the rare moments when coincidence happens to set direction to a life, his closest neighbor turned out to be Franco Mealli, long time organizer of cycling events and owner of the Velo Club Forze Sportive Romane. From his early teen years Vegni followed Mealli around, watching and learning. "Master" Franco Mealli put me up front quite soon and I became actively involved in the Tirreno-Adriatico, Giro del Lazio, Giro dell'Umbria, Giro di Puglia Ruato d'Oro, Trofeo Pantalica, Trofeo dell'Etna, Settimana Ciclista Internazionale - just to mention professional races." Before turning 25 years old Vegni becomes managing director and often takes over the reins of the sporting event, managing on his own, upon appointment by the patron. Having learned from Mealli through the years, Vegni quickly pays attention to the different details necessary to organize events. 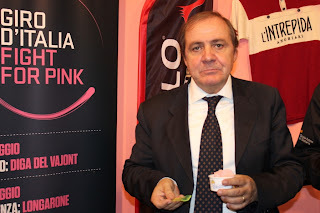 Vegni becomes more and more involved due to the health situation of Franco Mealli. In 1994, Vegni is heading the decentralized management structure in four different race fields. A very demanding job which required the utmost dedication and commitment to succeed. On the following year, the transfer og the cycling races belonging to Velo Cluc Forze Romane to RCS Sport becomes effective, making Vegni move to Milan under the watchful eye of Carmine Castellano. 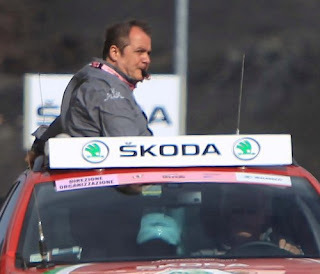 In 2003 he is charge of the entire cycling department and in 2005, when Castellano concludes his career in the RCS Sport, Mauro Vegni is the one to jump into the Giro d'Italia and the other classical races of the RCS flagship car, calling the shots. 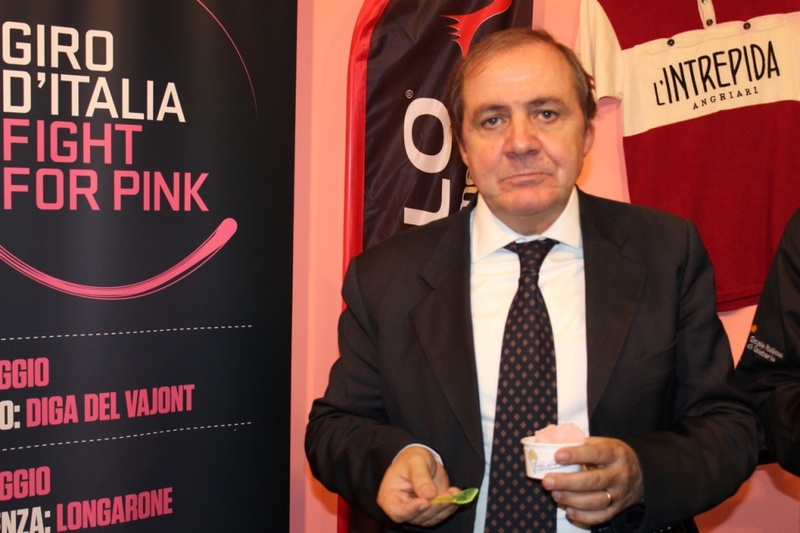 A lifetime in cycling has also granted Vegni different federal appointments, like member of the Professional Council, a body of the Italian Cycling Federation. 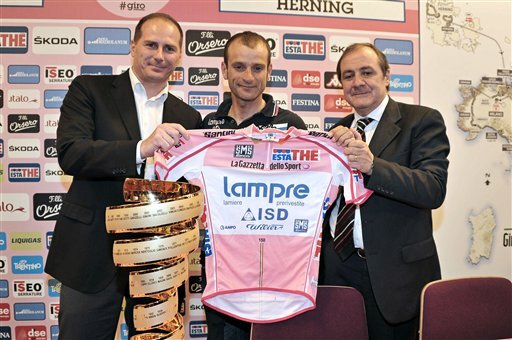 Having years of experience Vegni still enjoys making the giro as good as possible. The technical and sport side: a stage race, important like the Giro is, cannot leave out of considerations such elements as effort, tradition, routes, thus without omitting innovation and respect vis-à-vis the athletes. In short, a hard but well balanced route (is what I look for). The choreographic aspects: a huge event as such cannot disregard collateral and choreographic activities which shall turn it into an important communication opportunity: samples of the foregoing are the Olympic Games opening ceremonies"
"Phase one is what I call the "Construction of the Giro project", starting from the city which will host the Giro d’Italia “Big Departure” it shall be necessary to begin designing a route presenting a technical soundness. (As the thumb rule there are) Two/three time trial stages, six/seven sprinters’ stages, five/six summit finishes, five/six average mountain stages, providing that the most significant stages are planned during week-ends. Once the plan is ready then starts the period in which to liaise with local institutions so as to identify the approximately 40 locations able to host one ore more stages of the Giro d'Italia." "Phase two is the "Technical on-site inspections", which are the time when the Giro project effectively takes its shape, when the RCS Sport and Host broadcaster’s teams visit the stage locations, defining in detail all the areas which will be interested by the race: the finish area, the, race headquarters, the departure area, the last kilometers and the distance of transfer to kilometer zero, etc." During spring and summer several RCS officials are on "site inspections" at cities hosting the arrival or departure of the (next year's) giro. - Morning: RCS Sports team, together with the technical finish representatives and the TV crew take part to a first presentation meeting together with the members of the local organization committee (or stage committee). On this occasion all organization requirements and the support requested to the stage committee are expounded to the last detail. Following the meeting, and after examination of the local committee possible requests, the teams proceed to the identification of the various areas, finish, open village (the sponsors’ village open to the public), race headquarters (the headquarters of the organization which host the press room, the conference room and the other organization-related offices). During this phase all necessary steps are taken and the finish feasibility is assessed, also based on the kind of stage (sprint finishes require wider roads, etc). Starting from such areas, then parking facilities, deviations for flagship cars, helicopter landing pads and so on, are due to be identified. - Afternoon: RCS Sports team, together with the technical finish representatives and the TV crew move in the departure location. After a first presentation meeting with the local committee all the areas interested by the departure are identified. That is to say: the signature podium area and the departure village, the parking facilities for teams’ buses, the transfer route to kilometer zero, etc. Also in this case all remarks that will then be necessary for drafting the technical notes and the location maps are duly addressed. - Evening: Once arrived in the hotel the work of the organization goes on with the drafting of the technical remarks and preparing the drawings and the location maps which will then be sent to the local organization committees in order to have all interventions required to realize the stage duly taken care of." One could wonder how much personnel Vegni would need to make the Giro happen, but in fact it is not as heavily manned as I expected it to be, at least in the planning phase. "Only considering the technical-sport aspects, the planning phase activity, which allows to start from an idea and to then reach the final design of the Giro d'Italia, ties down 5 persons. Always considering the sole technical-sport aspects (without counting all the forces operating in the logistics, marketing, press fields, etc. ), the operative personnel dedicated to the event amounts to approximately 160 persons." As Vegni look into the crystal ball he glazes backwards to, comparing the old days to the present. "The Giro d'Italia has changed a lot in respect to the past, especially for what concerns the approach and the philosophy grounding the event: a real demand for innovation linked to an increasing attention to internationality, trying to avoid habits and repetitiveness. This becomes a concrete reality through taking some more risks, looking for new and original spots: Zoncolan, Galibier and Assisi, by way of example, derive from this approach. But there is more, the stage’s planning and feasibility technical assessment phase has taken a highly professional aspect, leaving nothing to chance or to last minute management." Teamwork, spirit is one more important factor, which for sure represents a great added value, he adds.